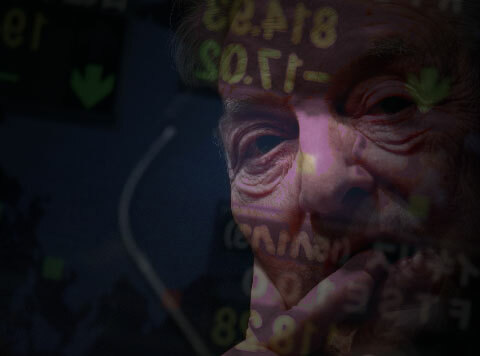 / Gold / Gold News / Billionaire George Soros Dumps 37% of Stocks To “Buy Up Massive Amounts of Gold” But Why? Why is George Soros moving billions of dollars out of stocks and into gold bullion and other precious metals? Has the point of collapse arrived? Even though the price of gold is quoted in terms of U.S. Dollars (for now anyway), there is no “direct” relevance to the U.S. Dollar according to Juan Carlos Artigas, director of investment research at the World Gold Council. With that said, Gold’s moves are sometimes linked to the dollar, because the metal often trades inversely to moves in the greenback.When investors fear the U.S. Dollar is losing power (or on the verge of implosion in this case), they rush to gold to hedge their bets, and vice versa. Another tool many people have been flocking to as a means to hedge the U.S. Dollar is silver, because 1) it’s less expensive than gold and selling at a historically low price right now; and 2) when the big collapse does come, it will be easier to barter with small denominations of silver, than it will be with gold which is currently selling for over $1,200 per ounce.